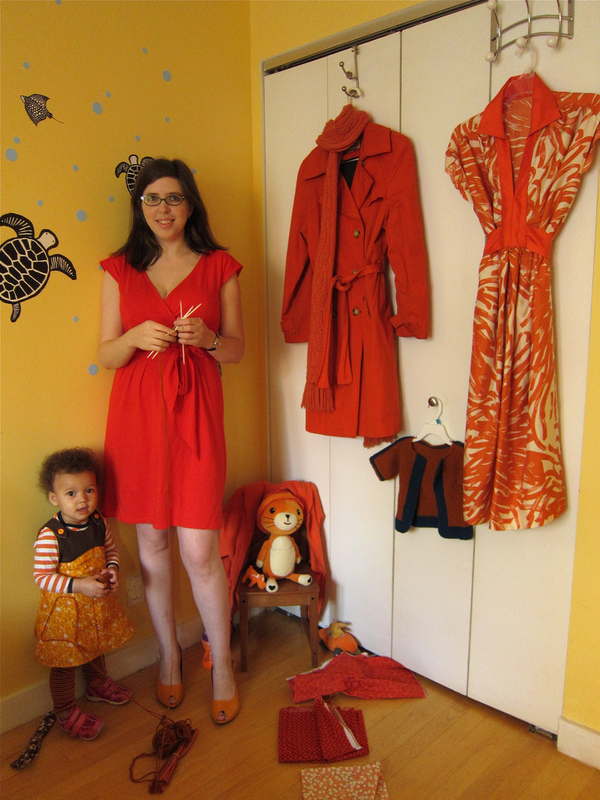 This orange dress (shown in 2011) survived multiple closet purges over the years because I loved the color and shape. But I hated the length and never wore it—and now it's finally gone. 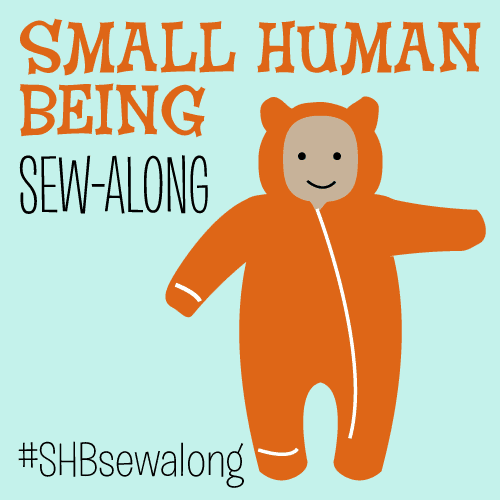 So I still haven't had time to blog several sewing or knitting projects, but thought I'd drop in quickly to share a little video. We're doing some triple super ultra major decluttering in preparation for an apartment move, so I decided to watch some downsizing/minimalism TED talks for inspiration (found via Apartment Therapy: Flirting with Minimalism or Downsizing? These TED Talks May Just Talk You Into It). My big takeaway? It's OK to wear the same items of clothing or the same outfits multiple times in the same week. Really. If it looks good and you love it — wear it and wear it over again (change your accessories if you like), clean it, repair it, and take care of it. Quality and fit and style over quantity. That's why one of my goals for Me-Made May has never been "no outfit repeats." A minimalist wardrobe approach has another bonus — even though I only have very limited sewing and knitting time, if I make the RIGHT things, they can still make up the vast majority of my mini-wardrobe. (Hi! Just found you from the Male Pattern Baldness site.) I'm with you: If you like something and you look good in it, wear it often! If I really like something, I may buy or make a couple of identical items. I love the orange dress! Can I ask what pattern it is please if you handmade it? Ah, the orange dress! One of my favorites of your makes! I hope it's gone to a great home for the sake of respecting it's awesomeness. I've never understood the "no repeat outfits" goal of MMM either. There's a million ways to change up the same thing. Or not. There's a few separates that I have that only go with one other thing, but I like them so much I don't really care. The Uniform Project's 1 Dress 365 Days is a great example of that, and while I wouldn't set out to wear a LBD even for 1 day (my own oddities), that project made a really great point, and there's a certain amount of that creativity that we can all learn from. I think it's tough sometimes in our community of sewists to see other people making umpteenmillion gorgeous dresses from fancy fabrics like Liberty etc. I've always thought that it doesn't take a lot of creativity to buy the most expensive fabric and make it up (though it might take more sewing skill). For me, I think it takes a lot more innovation to use what you have and put it to the best possible use. So, while I will not be purposely winnowing down my closet to 10 pieces though I need to declutter, I applaud the idea of it. I hope you have a good move!